Linda Duffy is Associate Professor of Sports Psychology at Middlesex University. 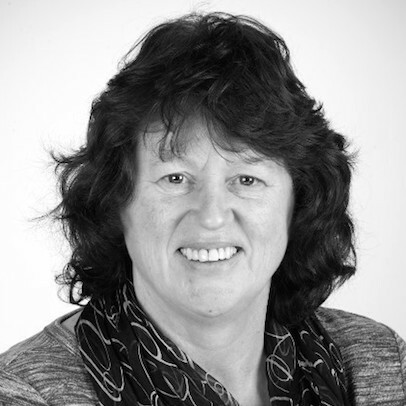 She is a founding member of the Division of Sport and Exercise Psychology of the British Psychological Society (BPS) and a registered practioner with the Health and Care Professions Council (HCPC), also, in 2014 Linda became Chair of the Sport & Exercise Psychology Research Group at Middlesex. With a prominent background as a professional darts player, Linda is currently engaged in research related to gender differences in throwing skills as well as other areas of sport psychology including the development of expertise, psychological resilience, coaching behaviours, sport as a medium for rehabilitation and the psychological affects of training and practise. Linda is currently developing an MSc Sport and Exercise Psychology programme and an online Darts Coaching course with her colleagues in the London Sport Institute. She regularly features in media coverage of darts, including interviews on a variety of TV channels relating to dart playing, women in sport and sport psychology.Other media appearances include interviews with BSkyB relating to professional dart playing performance and sport psychology; and Radio 5 live, BBC Essex Radio and Talk Sport Radio relating to women in sport, dart playing and sport psychology. Linda has also given several interviews to national and local newspapers, and magazines, relating to her previous career as the ladies World number one professional dart player and current career as a sport psychologist. Director of Studies to Sarah Welland. Thesis title: How to reduce re-offending at a Young Offenders Institution (YOI). An investigation of the effectiveness of the ‘Get Onside’ Saracens RFC sporting intervention programme. (Started March 2017). Director of Studies to Floyd Williams. Thesis title: 'The Acquisition of Expertise amongst Tennis Players: an investigation of psychological factors' (started June 2014). Supporting Supervisor to Rhonda Cohen. Thesis title: 'Psychological Factors Affecting the Motivation of Drag Racers' (completed July 2012). 2016 ongoing: External funding (£15,000) Saracens RFC "Get Onside" intervention programme for young offenders. 2014 completed: External Funding (£6,000) Saracens RFC "Monday Club" activity programme for individuals with ASD and their parents/carers. 2013 completed: External Funding (£10,000) London Borough of Haringey Tottenham Active! project.